Home - Lone Star State Capital Corporation | We make fixed-rate SBA 504 commercial real estate and equipment loans up to $5,000,000. Lone Star State Capital Corporation (Lone Star) is engaged in promoting the growth of small businesses in the state of Texas by providing low cost, fixed rate commercial real estate and equipment financing in partnership with the US Small Business Administration. 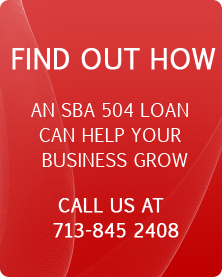 Through the Small Business Administration (SBA) 504 Certified Development Company (CDC) Loan Program created in 1980, Lone Star, a Certified Development Company (CDC), seeks to promote the growth and expansion of small businesses throughout the state of Texas. Copyright © 2019 Lone Star State Capital Corporation. All rights reserved.